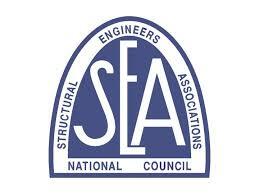 This questionnaire addresses seismic retrofit engineering and was given to several structural engineers by the author as part of the process used to develop a regional standard called Standard Plan A. These structural engineers were chosen very carefully because of their work in wood frame retrofitting and had on average 40 years of experience. One of the reasons for these questions was to see if bolts were necessary when not attached to plywood. This summarizes their conclustion. Based on the answers to the first two questions below installing bolts not connected to the plywood offers little or no protection. The bolt strength needs to equal the plywood strength. Anything more than that is a waste of bolts. For example, if the plywood can resist 6000 pounds and a bolt can resist 1000 pounds, 6 bolts need to be attache3d to the plywood. Probably their most important contribution was clarifying that all the force goes into the stiffest element-in this case plywood-and therefore bolts and shear transfer ties only need to be installed at shear wall locations. This hardware must match the strength of the plywood. Please see the answers to QUESTION 2. Three of them had done first hand investigations of earthquake damaged homes after the 1994 Northridge Earthquake. The questions are very technical but the conclusions are simple. The respective answers to the questions will be noted with the following initials representing the first letter of the engineer’s last name: B,K, L,R,S,T,Ke. QUESTION 1: Is it true that all the earthquake force goes to the stiffest element and therefore only to the shear walls? QUESTION 2: If it is true that most of the force goes to the stiffest element, how much earthquake load is transferred to the part of the cripple wall that has no shear walling? L: Only a negligible amount of earthquake force transfers to the sections of cripple wall that are not braced with plywood. B: The stucco has a lot of resistance but breaks apart, once that happens it no longer functions as a shear wall and will no longer protect the house. R: Very little shear force will travel to the sections of cripple wall that have no plywood shear-walling, depending on the existing wall sheathing – stucco in good condition will carry a lot of shear, but once the nails have corroded or failed in an earthquake, it’s not worth much. QUESTION 3 : Are shear transfer ties necessary to attach the end or rim joist to the subfloor necessary along the transverse or longitudinal walls in either single story or multi-story buildings? These are installed by screwing or palm nailing them into the subfloor and then nailing them into the side of the joist. K: This connection is already there through the nailing of the sub-floor to the floor joists. The Uniform Code of Building Conservation gives this connection a value of 500 pounds per linear foot. That is more than enough. S: I have never seen or heard of a failure at this connection. RELEVANCE: The engineers who took part in this survey do not think it necessary to attach the top of the joists to the floor. 3) One engineer told me that over-stiffening the cripple wall can actually damage a house. I quote him “Over-stiffening the cripple wall can damage the house. There is no research that will prove this, but I know it is true!” If that is the case, then how should we define over-stiffening? QUESTION 4: Can over-stiffening a cripple wall damage a house? L: Stiffening a cripple wall can damage a house no matter what if the opposing wall is not equally braced and nearly as stiff. This can cause the house to rotate around the stiffer wall and end up damaging the house. RELEVANCE: : Based on the above, cripple walls should be converted into shear walls that are as strong and stiff as possible and as far as possible shear walls should be equally distributed on all four sides of the house. 4) As a FEMA earthquake damage inspector, I don’t recall seeing a single instance where the cripple wall of a house was intact yet the house slid off the top of the cripple wall. However, the San Leandro and Los Angeles house seismic retrofit prescriptive guidelines both require shear transfer ties regardless of the number of stories. Division 92 of the L.A. code requires framing anchors only on multi-story buildings. QUESTION 5: Are shear transfer ties used to strengthen the floor framing to top of cripple wall connection necessary on both single and multi-story buildings? QUESTION: Should framing anchors on the transverse walls (editors note: these are the walls on top of the shorter lengths of foundation, usually at the front and back) be considered more important than on the longitudinal walls if they were nailed according to older construction practices? S: They are of equal importance. K: When houses were built before the advent of nail guns, only a few nails were used to connect the transverse wall end joists to the cripple wall. For this reason I think they are much more important. B: They are of equal importance. There is no way to tell how many toenails are actually present. For this reason they should be installed regardless of whether the wall is transverse or longitudinal. R: Most of the time you can’t see the nails on either the transverse or longitudinal walls. If you can’t see them, then assume they are not there. RELEVANCE: Even though S, R and B never observed any damage caused by their absence, all engineers recommended their use. This is because they all believed it is important to maintain a good load path. B and R both disagree with the L.A. code which says the connection of the joist to the top plate on the transverse walls need not be verified on one story buildings. They also pointed out that verifying this connection would require removal of the exterior siding, which would cost more than the shear transfer ties. 5) If the retrofit design makes sure that the shear capacity of the bolts attaching the shear panel to the foundation matches the capacity of the shear panel itself, is it still important to put bolts between 8 and 12 inches of the mudsill ends as currently required by the UBC and UCBC? R, T, and K: Bolts at the end of mudsills are not necessary so long as each section of mudsill attached to a shearwall has at least two bolts to prevent out-of-plane rotation. RELEVANCE: This information is relevant because it means it is not necessary to follow new building code regulations that specify these end bolts so long as the bolts are as strong as the rest of the shear wall. Eliminating this will reduce the cost of the retrofit. 6) If an older 25 foot long foundation and cripple wall were retrofitted with new 500 plf shearwalls on 100% of its length, it would have 12,250 pounds of resistance at the foundation if the foundation were new. In retrofitting we deal with old foundations that don’t even have footings. The reason I am asking this is because one engineer who works for many of the realtors in the East Bay tells his clients that the foundation needs to be replaced if the footing is shallow because it cannot resist earthquakes. Ke: I guess the question is: Is it necessary to retrofit the foundation? No. R: In 1992 the Structural Engineer’s Association did some tests on old foundations and found they performed as well as new ones for lateral forces. RELEVANCE: There are a lot of misconceptions concerning the function of foundations in retrofit work. Many engineers and contractors recommend foundation replacements unnecessarily because the foundations are cracked or have shallow footing. This does not appear to be necessary. 7) Should the principle of rotation be allowed in retrofit work? Use of the principle of rotation in retrofit and in new construction was disallowed in L.A. after the Northridge earthquake. The most common application of this principle is found in Section 2315 of the 1997 code. This is used to protect a room above a garage by shearwalling the back wall of the garage. QUESTION: Should the application of the principle of rotation as found in Section 2315 be allowed in retrofit work to protect a room above a garage? If using the principle of rotation is the only retrofit option available, should it be used or will it probably cause more harm than good? R-It will still do a house a lot of good even if only three sides of the house can be retrofitted; this is true even if the minimum aspect ratios required by the code cannot be met. The principle of rotation will still protect the unbraced wall. In this case the braced wall opposite the unbraced wall should have twice as much bracing installed as it normally would. S- Don’t use it where there is a room above a garage. Use a column or a moment frame. RELEVANCE: This is relevant because it is often not possible to retrofit a building with a moment frame because most homeowners cannot afford it. R says a retrofit is still worth doing even if one of the four sides of the house cannot be braced. 8)- The new retrofit code may be based on a minimum base shear value. In the 1997 UBC, the base shear formula in seismic zone 4, with the fault proximity multiplier, is V=0.86W. Relevance: This is relevant because the base shear formula should probably form the engineering background of the new code. Is 75% of the base shear formula still adequate? B-Design for 75% of base shear formula. R-The 75% is allowed for historic buildings. S-I would design a retrofit at 50% of the base shear formula. Previous earthquakes have proven that buildings perform well when required to resist far less base shear. RELEVANCE: This is relevant because it means using the current base shear of the building code for new construction is adequate. 9)- Another problem we frequently see in the field is that of loose nuts on the bolts. This happens because green lumber was used when the house was built, the nuts were tightened down on this green lumber; then the lumber dried out, shrank and the nuts are no longer tight. We have found that most existing houses have nuts that can be removed from the bolts with your fingers. B and R: So long as the house is adequately bolted, and there is not a cripple wall, the only damage would occur where the mudsill meets the stucco or horizontal siding. The house should not slide off of the foundation. This should be explained to the homeowner so that he can decide for himself if this work is still worth doing. RELEVANCE: This is important when dealing with houses that do not have cripple walls in order to determine whether or not it is still cost effective to go back and install plate washers on the existing bolts. 10)- Many houses have additions. These additions are typically on the back of the house. The problem is that where the addition is attached to the main house, we have two floors that are only marginally connected. A shear wall placed here must resist forces generated by both floors. Another approach would be to connect the floors together so that they perform as one floor and retrofit it as if it were one big house. QUESTION: If a prescriptive retrofit plan is used, is it important to connect these two floors together so that the two of them act as one floor? QUESTION: Should the connection at the two floors be able to work in tension (pulling) as well as in shear (sliding), or only in shear? QUESTION: Is it only necessary to connect the two floors together and then brace the rear of the addition, or is it also necessary to brace the cripple wall where the old floor and the new floor meet? QUESTION: Should the connection of separately framed floor diaphragms be considered in the new retrofit building code? R: If this is done, it is not necessary to brace the rear addition if the addition is small. The principle of rotation will take care of that. T: It is still a good idea to brace the addition given that the added cost is minimal. Even though the principal of rotation should probably take care of it, I would rather rely on cripple wall bracing than the principle of rotation. However, I would only add one tension tie on each end of the connecting floors to hold the two floors together. RELEVANCE: Additions are found on many older homes and need to be considered. 11)- It is my understanding that all four cripple walls must resist the same amount of force. All three existing retrofit building codes, (San Leandro, L.A., and the UCBC) are designed in such a way that they call for a percentage of the cripple wall be braced depending on the number of stories (weight) of the house. Using the percentages in these codes on a 24’ by 48’ one-story house, the transverse walls would have plywood bracing on 12 linear feet of the cripple walls and the longitudinal walls would have 24 linear feet of bracing on the cripple walls, making two sides of the house twice as strong as the other two sides. QUESTION: In the example given above, are 12 linear feet of the 24 feet of bracing on the longitudinal walls redundant? R had a lot to say:- I favor sticking with the arbitrary requirements since we do not know which is more nearly correct for a given house, the longer or the shorter. The arbitrary length-of-bracing panel requirements of the retrofit code are modeled after bracing rules of the Conventional Light-Frame Construction provisions of the UBC. The rules are arbitrary, and in the case you cite, can not be consistent with the expected results of an engineering analysis. However, if we do not base the bracing panel design on a lateral analysis, we should stick with the arbitrary rules – at least we are being consistent. To arbitrarily install no more in the long direction than would be required by the arbitrary rules for the short direction may result in inadequate bracing in both directions – it is trying to engineer a better design without an engineer. We are putting the retrofit code together for use by a homeowner and/or a small contractor to use without engineering, and at reasonable cost. It will provide an effective strengthening, but may not provide the certainty of effectiveness that an engineered design would. For a large house, an unusual house or a homeowner who wants greater certainty about the effectiveness of the retrofit, an engineer should be hired. QUESTION: Would the amount of cripple wall bracing on each wall be better determined by the weight of the building rather than by the percentage of the wall? QUESTION: Should a retrofit code keep the cost of implementation of this code in mind by eliminating redundancy whenever possible? B: Our L.A. SEAOSC commentary says each shear wall should have equal length to match maximum required by percentage of length. Relevance : All existing retrofit building codes determine the amount of plywood cripple wall bracing on a percentage basis. The result is that twice as much bracing ends up on the transverse walls as on the longitudinal walls. From a cost point of view this may be an ineffective way to retrofit a house because, unless R is correct, it increases the cost by installing cripple wall bracing that is not necessary. This is a disincentive to retrofitting. 12) There are some disparities in capacity that arise out of the current retrofit methods because they specify quantities in terms of spacing rather than capacity. For example, using the San Leandro Prescriptive Standard, a 40 foot long cripple wall would have 32 framing anchors with a total capacity of 18,500 pounds of shear resistance. It would have twelve ½ inch bolts with a capacity of 10,080 pounds of shear resistance. It appears too many bolts and shear transfer ties are being installed. QUESTION: Should the new code try to make sure that the bolting, framing anchors, and shearwalls have an equal capacity? S-Not necessarily. You should have bolts 6’ o.c. to prevent warping of the sill plates no matter what the load is. RELEVANCE: The method used in new construction and in all existing retrofit guidelines is based on spacing, not capacities. The installation of redundant shear walling and hardware also increases the cost of the retrofit. Increased cost is a disincentive to retrofitting. 13)- Until the 1997 code was adopted, many homes were built with 28 inch wide walls on either side of the garage door opening, even when there is a room above the garage. On many homes the walls are not even this wide. Many contractors install bolts, holdowns, and plywood on these walls at great expense to the homeowner and the homeowner then believes that this very vulnerable part of the house is now protected. The cost to install these narrow shear walls, bolts, and holdowns is probably around $4,500.00. The concrete is usually not reinforced and it is difficult to keep the required edge distance from the holddown bolt to the end of the concrete. QUESTION: Is retrofitting these narrow walls still a good idea? QUESTION: In this situation, how much good will the holdowns do? PHD5 holddowns cost about $140.00 each to install. S and T -A lot, limiting deflection. QUESTION: Will the protection afforded to do this for $5500.00 be a good investment? R-Don’t do this without an engineer. L- It would be better to shear the back and two side walls of the garage. Better yet, do both. RELEVANCE: Many older homes built before the 1997 code came into effect are built with very narrow sections of wall on either side of the garage. These garages often support a room above them. 14) Many contractors use angle irons to bolt a house to the foundation. Use of angle irons is a local technique that is mainly found in the Bay Area. The angle iron has three holes in it, two holes attach it to the concrete and the other hole allows it to be bolted to a floor joist. My understanding is that if the distance from the top bolt in the concrete to the bolt in the joist is 12 inches, and if the distance between the two bolts in the concrete is only 6 inches, then 1000 pounds of force in the F1 direction will produce 2000 pounds of force on the lower concrete bolt and 3000 pounds of force on the upper concrete bolt and cause it to shear off. My understanding is that angle irons were looked at by the committees that wrote the three existing retrofit building codes and that they were rejected as a viable retrofit method. The answer to this question is very important since literally thousands of homes in the Bay Area have been retrofitted and are still being retrofitted in this way. Please think carefully about this as this is a method used by many contractors and engineers in the Bay Area. If you do not recommend this technique, and if most engineers participating in this survey agree with you, your answer will be immediately given to the Building Official for the city of Berkeley and other Bay Area municipalities. QUESTION: Are angle irons a viable retrofit method when trying to resist lateral loads? QUESTION: Should angle irons be allowed in the new retrofit code? QUESTION: If they are allowed, should there be some minimum distance ratio required for the bolts? T: This is a convoluted load path that will probably break down when trying to get the load into the angle iron. L: This is a poor method because of torsion that will be created at the connections, no matter what the bolt spacing is. S : It is too difficult to develop necessary blocking and shear clips to carry load. Our committee looked at this option and rejected it. K: It just depends on how they are installed, but I foresee a lot of problems without good detailing. R: I would not use this system. They have not been tested and even if they are designed perfectly for a particular house the same thing can be accomplished easier and more effectively with tested hardware. RELEVANCE: : This technique for attaching the floor of a house to the foundation was developed many years ago and is still extensively used throughout the Bay Area. Given the variety of opinions on this technique, further engineering analysis appears to be needed. A) The short blocks split easily when you drive nails through the tops of them. They are especially prone to splitting when even more nails are driven through the side of the block when the plywood is installed. When nailing the plywood you cannot see where in the block the nails are landing. Any nail less than an inch from the edge of the block will certainly split the block. Many contractors use full length 10-penny nails because they believe they make a stronger shearwall. These nails will certainly split the blocks. B) There is an engineering problem when the blocks are used. In a shear wall four feet long, the three 13 ½ inch long 2×4 blocks are nailed to a total of 40-1/2 inches of mudsill. The 2 inch wide studs take up the other 7-1/2 inches. Each block can hold four 16d nails without splitting. Each block therefore provides 400 pounds of shear resistance to the mudsill. This is based on the values given on Table 4 of NER 272 that gives 100 pounds for each 16d sinker (94×1.33×0.8 for redwood) with 1-1/2 inches of penetration. The three blocks with 4 nails therefore provide 400 plf of attachment to the mudsill. QUESTION: Is it too much to ask a 13½inch 2 x 4 block to pick up and transfer 400 pounds of force? QUESTION: Will nailing the bottom edge of the plywood shear wall directly into the mudsill allow the load to be better distributed along the mudsill? QUESTION: Will reducing the Redwood mudsill from a full dimension 2 x 5 1/2 to a full dimension 2 by 4 seriously compromise the strength of the sill and therefore of the shearwall? S- This does not look possible, it cannot be done with a skilsaw or a sawzall. Nailing into 2 by 4 blocks is not a problem so long as the carpenter PRE-DRILLS the nails. QUESTION: Is splitting of the blocks from top and side nailing a serious concern if the 2 by 4 blocks on the mudsill are not pre-drilled for the nails? Relevance: It is important to address the different methods that can be used to attach a shear wall to an existing mudsill. This is especially important because thousands, perhaps tens of thousands, of Bay Area Homes have been retrofitted using the nailed block method. 16) How important is the blocking around small cutouts? The radii are easy to do but the blocking is, again, pretty labor intensive. The question is: When calculating capacity, can you just ignore the reduction in strength caused by the unblocked cut-out? R, L, S, T, Ke, B Small unblocked cut-outs do not significantly effect the performance of a shearwall. Is drilling a few holes in the plywood at vent locations just as effective as blocking around the vent so long as the crawlspace area has no signs of ever being moist? S: Plywood with 3” diameter holes were tested at U.C. Irvine. No reduction in strength was noted on 16” o. c. cripplewalls. RELEVANCE: This is important because it is often necessary to put small holes in shearwalls to allow for the penetration of pipes, ventilation, etc. The official position of the American Plywood Association is that unblocked holes in plywood less that 12 inches wide are not a serious concern and do not need to be blocked. Installing blocking around small openings in shear walls takes a lot of time and requiring that it be done in the new code will unnecessarily increase the cost of the retrofit. 17)- One structural engineer told me that shear walls that are less that 24 inches in height do not require field nailing, just as shear walls that are only 24 inches wide require no field nailing. QUESTION: In the case of shear walls less than 24 inches in height, is edge nailing still necessary on the end studs? R: where does the Code say that?. I would require nailing on the end stud unless the stud is so short that splitting is likely. Two 8d nails in an 8” long stud does seems reasonable to get 8d @ 4” nailing. R: Add a tightly-fit 2×6 stud at the end. I would not omit the end nailing except as mentioned above. RELEVANCE: This is relevant because it is often necessary to build shearwalls on cripple walls that are extremely short. 18)- Is it important that any breaks in the top plates along be tied together with steel straps, or the top topplate and the bottom topplate will be nailed together at splice locations, so that the top topplate is continuous and the entire top plate is attached to the shear walls?. QUESTION: How important is it to have a continuous topplates? S: At the worst case, when a cripple wall ends just off a splice on the top plate, there will be some stress transfer through the floor and back to the top plate-so don’t worry. RELEVANCE: Most houses do not have continuous top plates. 19) How important is the end blocking on the joists? The L.A. prescriptive blueprint calls for the installation of joist blocking on every other joist for a one-story building when no blocking or rim joist is already present. If the bottoms of the joists are secured by Simpson H-10R-s that provide 580plf, and the tops of the joists are secured by the nailing of the subfloor, are these blocks really necessary? QUESTION: Is there much of a chance that these joists will rotate? R: This is an uncertain yes. This hardware should be tested. It will probably work but I cannot be sure. This hardware needs more testing. S: A little chance, but the blocking is for shear transfer too. QUESTION: If the bottoms of the joists are only secured by toenails into the topplate and not by H10R’s, and there is no joist blocking, is there much of a chance that these joists will rotate? R: This should also be tested, I have never seen joists rotate in an earthquake.